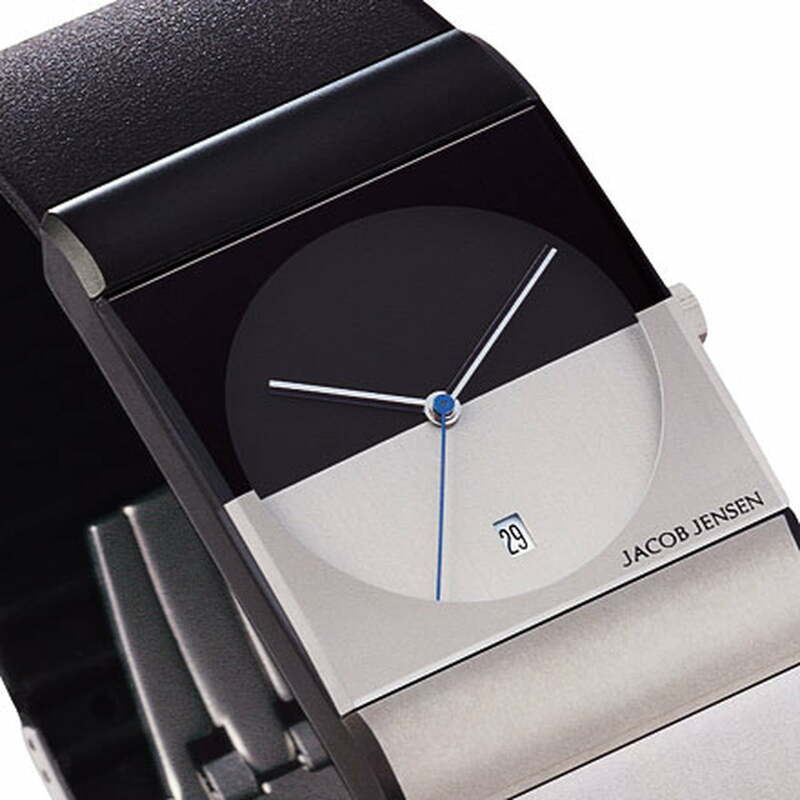 In 1986, the Museum of Modern Art included two watches by Jacob Jensen for the company Max René into the Design Study Collection. These were the first products under the brand name Jacob Jensen. 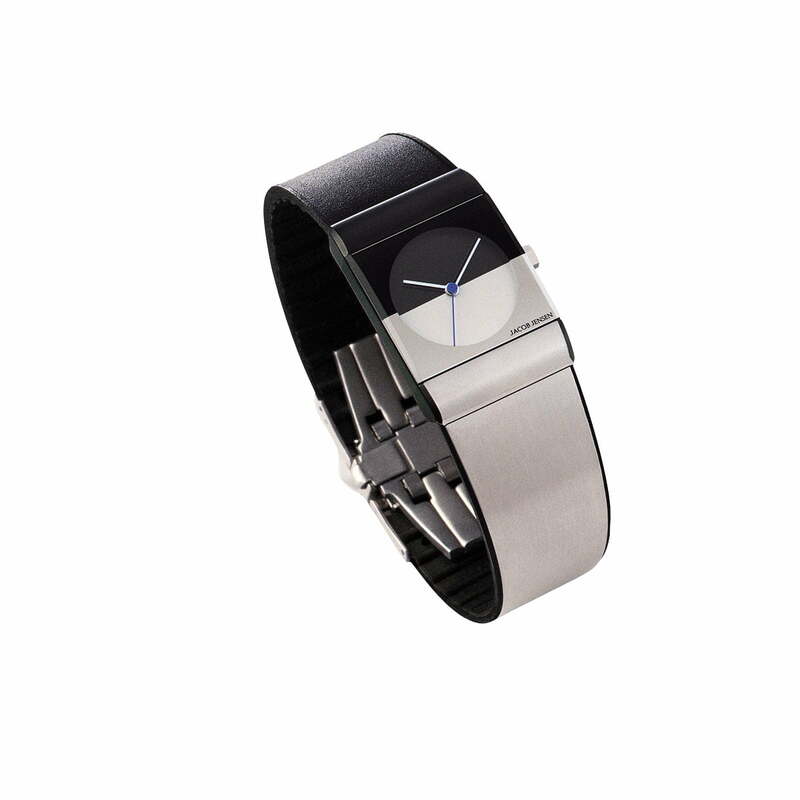 The watch was made from light titanium with a soft silicon application at the wristlet and with sapphire glass. The silver and black dial of the watch created an association with day and night, light and dark. The hands were black and silver so that, depending on the area the hand was on, only the black hand could be seen in the silver area and correspondingly. Today the hands are two coloured (silver and black) so the watch can always be read and a visual effect is created, which suggests the impression of the hands changing their colours. Also, the wristlet consists of stainless steel and rubber today. 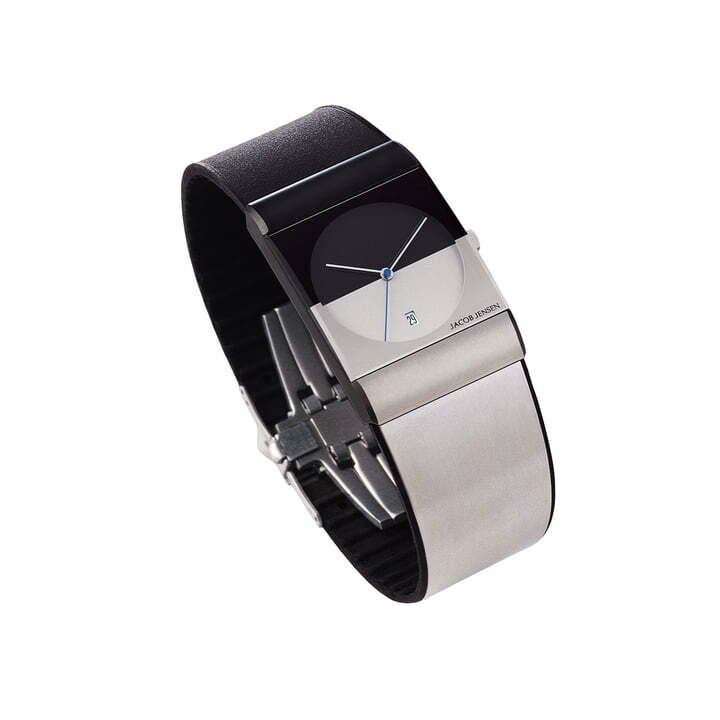 The Classic series is regarded, together with the Digital series, as the original series of watches by Jacob Jensen. Many other models followed this design.